In Japanese grammar, using さえ (sae) after a noun describes the minimum required. It is often safer to read Japanese nouns as indicating plurals unless otherwise specified. 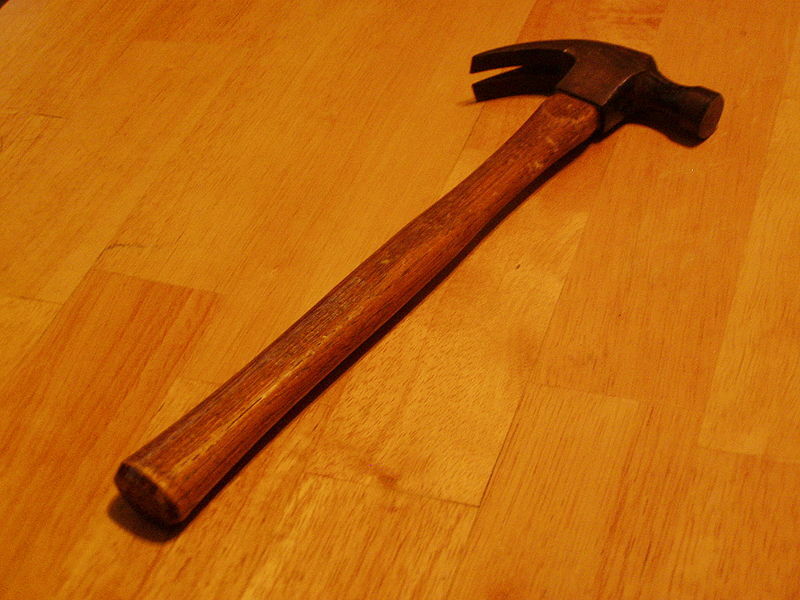 Here, the inclusion of さえ (sae) indeed specifies that a hammer, that is, only one hammer, would be sufficient. There are two alternatives to さえ (sae). First, there is でさえ (de sae) after a noun (and after a noun only). This uses ですら (de sura) instead of でさえ (de sae). The only practical difference is that “de sura” sounds older and more archaic, and therefore more formal. As a matter of getting your message across, both have, in practice, the exact same meaning. Both also have the “emphasis factor” that a naked さえ (sae) might not. Of course, this places quite a different spin on the abilities of 私 (watashi, i.e. the speaker). Language is like a tool box. How you use it is up to you. Language need not be a hammer, making every problem look like a nail. You can choose the right tool for the right job. You don’t want to use があれば or がなければ after 八マー in this example because that would require an unwritten topic. Since 私 is accounted for, you can’t have 私 as both the unwritten topic and an object and still be making sense. Having 私 as the topic alone would make the　さえ、でさえ、ですら constructions much harder to use effectively. I am not a native Japanese speaker, so this represents the best work of a non-native, non-professor grunt from the trenches. Feel free to correct any mistakes, non-ideal language, etc., that you find. Article first published as If Only I Had A Hammer… on Technorati. This entry was posted in Grammar, Japanese and tagged conditionals, Grammar, Japanese, JLPT, learning. Bookmark the permalink.